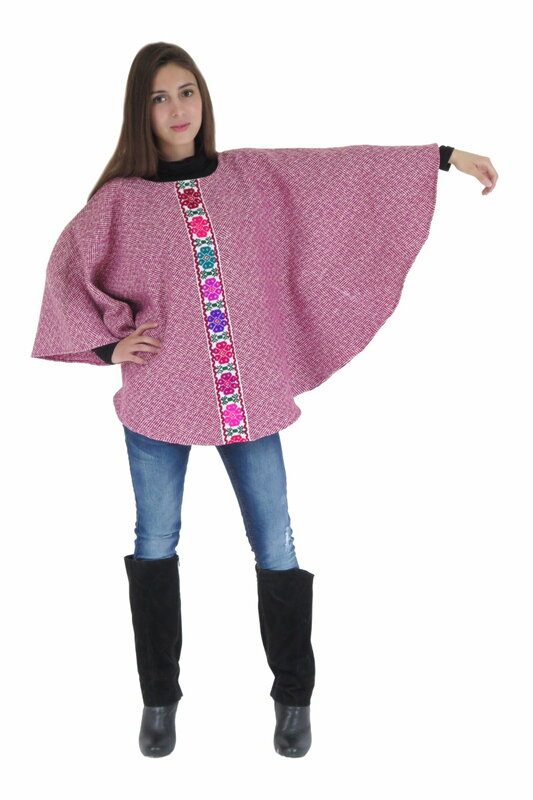 A Mexican poncho is a traditional woven blanket with an opening in the middle for your head. 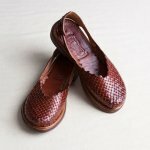 They are made with wool, cotton and now they use synthetic fibers like acrilan and polyester. Some people in Mexico call them gaban. In Mexico, ponchos are made from sheep wool and cotton, and are famous thanks to Hollywood movies and the millions of tourist that visit the country and buy them as souvenirs. Ponchos were originally made out of wool because wool fiber maintains heat very effectively. The thickness of the thread for knitting, its material, and the pattern used are variables that influence the quality and particularity of the poncho. Ponchos and in general Mexican blankets have a typical colorful and repeatable pattern. 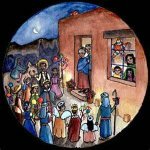 However, there are other beautiful designs with animals, flowers and other religious figures. As a side note, there are poncho designs from many places in Latin America, and they are made out of wool from sheep, llama, alpaca, etc. The most typical ponchos come from Mexico, the Andine plateaus, the Colombian plains (llanos) and the Argentinean prairies (pampas). This garment was used by Indians, Gauchos, Mestizos, and Europeans, and today is frequently used as a work coat in the country side and as a dress items for people in the city. Sometimes the typical Mexican serape from the city of Saltillo in the state of Coahuila is made into a poncho by adding the opening in the middle. The serape is also used as folded blanket placed across the body on one shoulder. 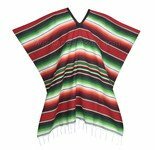 The Mexican serape used to be a garment for men just like the rebozo was a garment for women. Today, serapes are used by men and women, and they are also used to decorate homes on the floor, the wall or the bed. 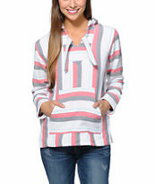 This poncho is more like a sweatshirt with sleeves, pocket and a hood. 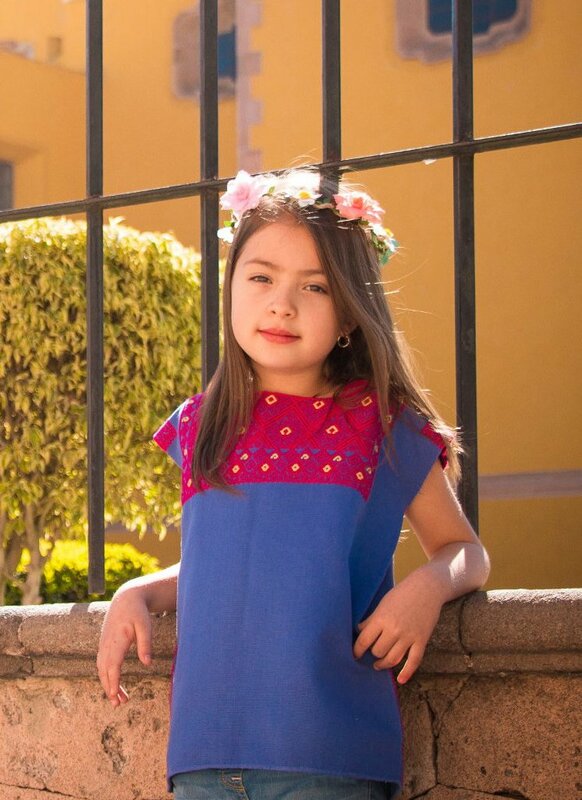 The fabric patterns are the typical Mexican jerga. This garment was popular during the 1970 among surfers traveling to Mexico. It is now an icon of hippie fashion and people that love this relaxed look.